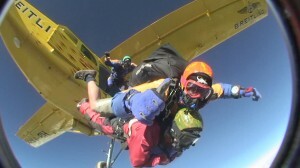 Molly Bedingfield, World Highest Charity SkyDive, Mt Everest! 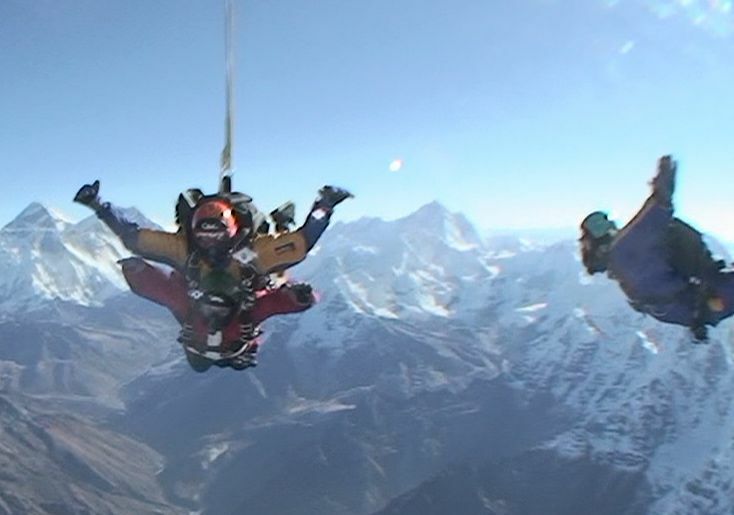 Global Angels Founder Molly Bedingfield was one of the team of international skydivers who participated in the 2008 Everest Skydive to become the first ever skydivers in the Himalayas. They jumped from at plane at nearly 3,000 meters with Mt Everest as the backdrop… and Molly raised nearly $300,000 for street kids and orphans in Asia. 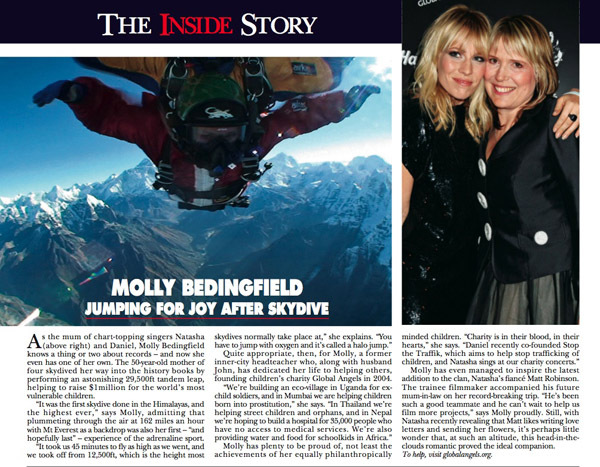 The article below is from Hello magazine’s ‘Inside Story’ focusing on Molly.